BaseClear increases sequencing capacity | BaseClear B.V.
BaseClear has significantly increased its sequencing capacity with the implementation of the Illumina NovaSeq 6000 platform. This new NGS platform has a tremendous data output of up to 3.000 Gb data per run. As of January 18th, 2019, BaseClear will use this new Illumina platform for most genomics, transcriptomics and metagenomics projects. With the NovaSeq, BaseClear is even better equipped for high throughput DNA research. 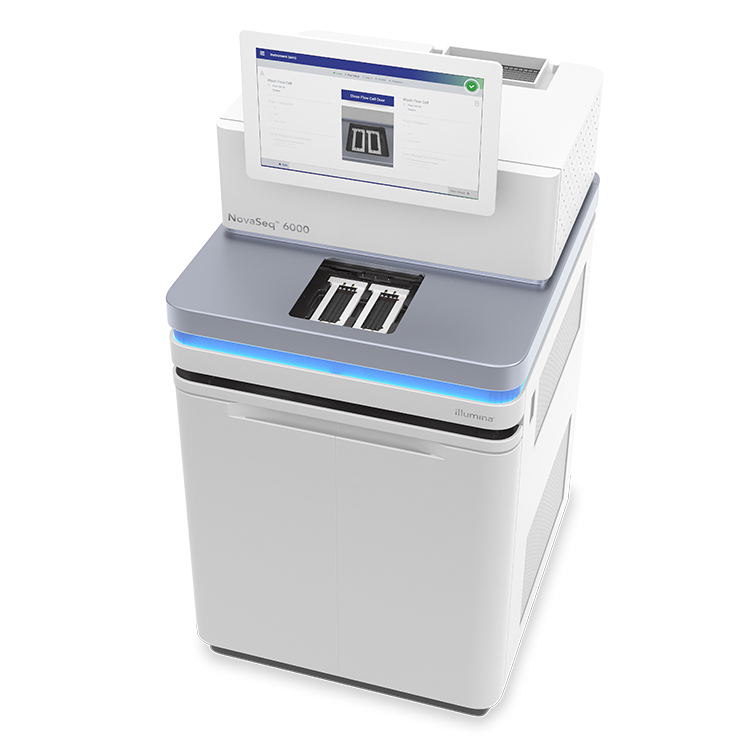 Since the Illumina NovaSeq 6000 platform has a significantly higher data output compared to the currently used Illumina HiSeq 2500 platform, sequencing services on the HiSeq 2500 are discontinued. The properties and underlying technology used in the NovaSeq are the same proven Illumina sequencing technology used by the HiSeq platform. Furthermore, our in-house comparisons of sequencing datasets generated on HiSeq and NovaSeq platforms show that the data quality is comparable between these two platforms. Of course, our specialists will ensure that the products and services we deliver will be of the highest quality, as you expect from BaseClear. If you have questions about this platform change, or if you would like to receive the comparison report, please contact your account manager or project manager.